I was perusing MRL's website tonight and stumbled on some things I hadn't seen before. 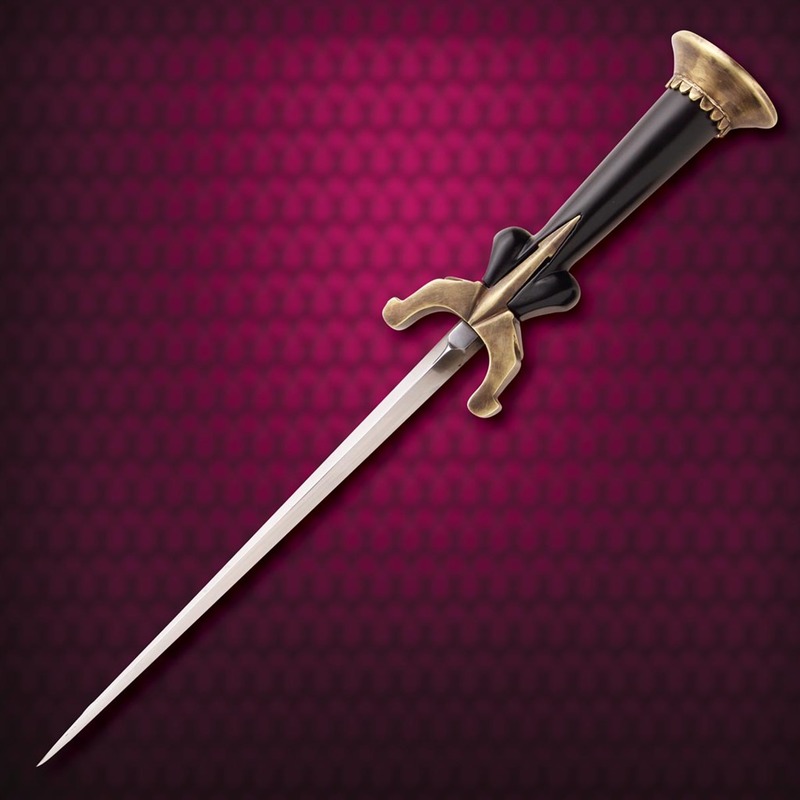 One thing that caught my eye is the new "Italian Ballock Dagger:" http://www.museumreplicas.com/p-2868-italian-ballock-dagger.aspx . While I applaud them expanding their offerings and basing things off historical pieces, I find this version pretty ugly. The original is elegant; this is clunky. On top of that, the museum lists the possible origin as German, while an older publication says it may be of Flemish origin. But MRL calls it Italian. Oh well. It's nice to see a detailed, historically inspired piece. And $139 is much less than I paid for mine. To me it looks like the crossguard is too bulky in comparison. If that weren't the case I think it would look pretty good, the quality of the wood inletting excepting.